What should you do when developing a communications strategy in support of a public affairs programme in Brussels? List what you are seeking to achieve through communications (usually one of three things: support an immediate regulatory priority; build positive reputation amongst key decision-makers; shape public perception around your organisation or industry). List who specifically you are seeking to influence (keep it as short as possible). Determine what is most likely to influence them: technical vs. non-technical arguments; reaching them directly or through intermediaries; channel preference; most relevant data points; most viable examples; helping address political needs/challenges. Develop a strategy likely to deliver on the above. Perhaps a differentiation strategy, building communities of support, leveraging influential individuals. Or whatever. 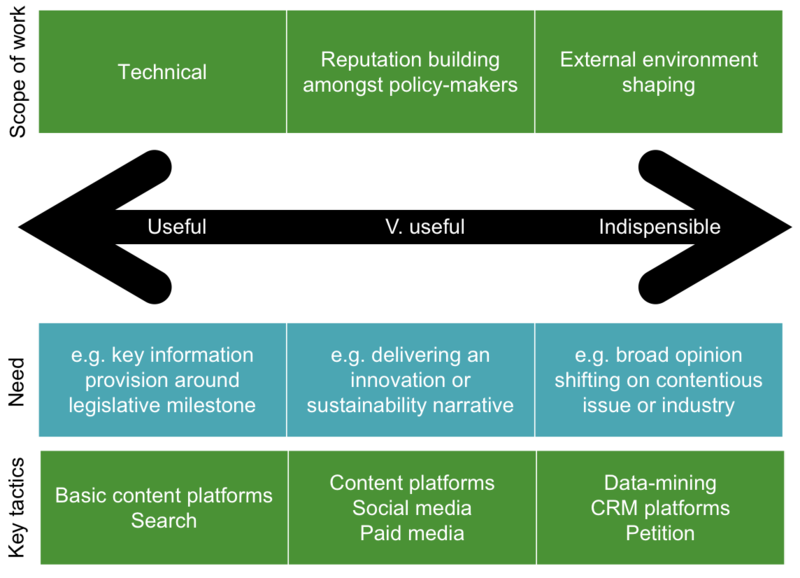 What NOT to do when developing a communications strategy in support of a public affairs programme? Write a few vapid messages, have a whacky brainstorm with post-its to devise gimmicks that can help deliver said message as many times as possible, execute the gimmicks, and hope that through a vicious battle of attrition, some will stick. And it all needs to be tailored, pitched at the right level, easy to grasp, and delivered at the right time. Yet we too often develop messages and obsess about distributing them without thinking much about our audiences or tailoring delivery to them. Our assumption remains that repeated reach will win the day. “They just haven’t heard our message enough times!” is a common refrain in Brussels. News alert: message delivery without audience analysis and an appropriate strategy is most likely a complete waste of time.